The Cascade, Lloyd Companies’ premier new downtown community, is really starting to look like home for those who quickly are filling it up. “It’s been going really well, and the fifth floor has really come together,” property manager Laura Walters said. 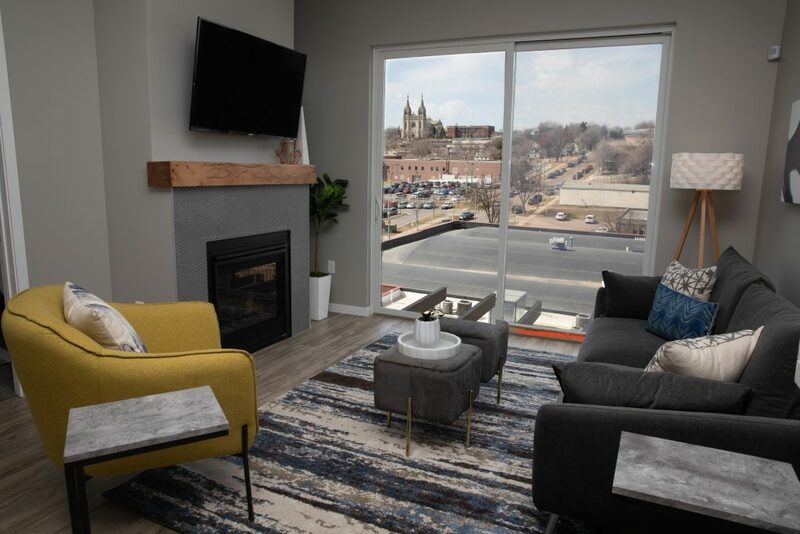 In fact, there aren’t many lofts left on the fifth floor of the building, which provides expansive views of Falls Park and the Sioux Falls skyline. 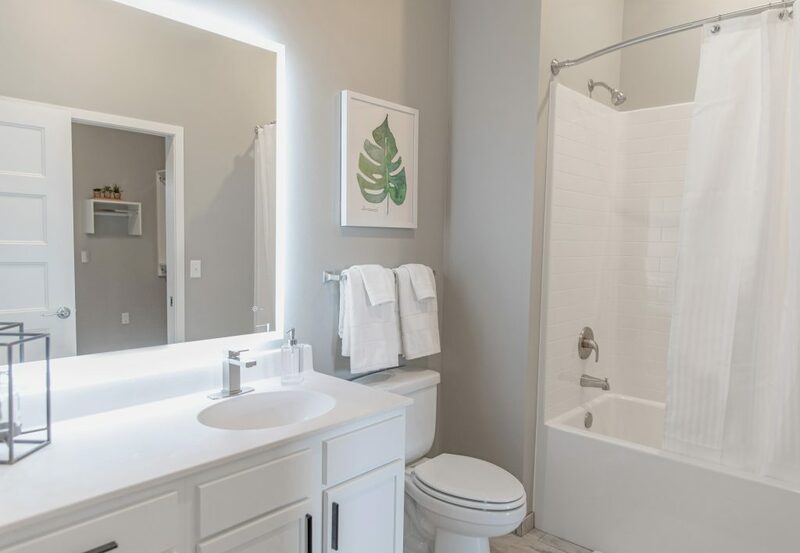 The model unit helps to provide potential residents a better idea of what they can expect in their new home. 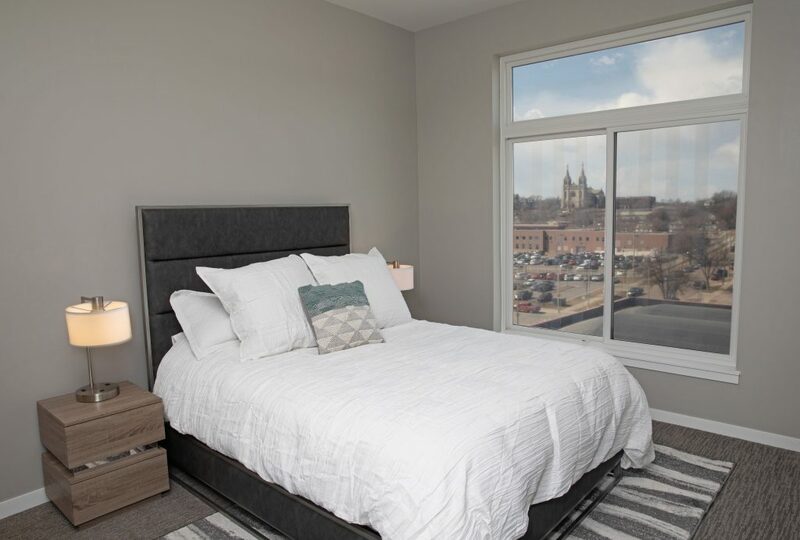 It’s a one-bedroom with white cabinetry, black hardware and a view that looks out to the future courtyard and as far as St. Joseph Cathedral. It won’t be long before new residents can move into the new building on North Phillips Avenue across from Falls Park West. Leases are scheduled to start in July. “And the first floor is really going to come together in the next few weeks, so people will be able to see the wonderful common spaces,” Walters said. 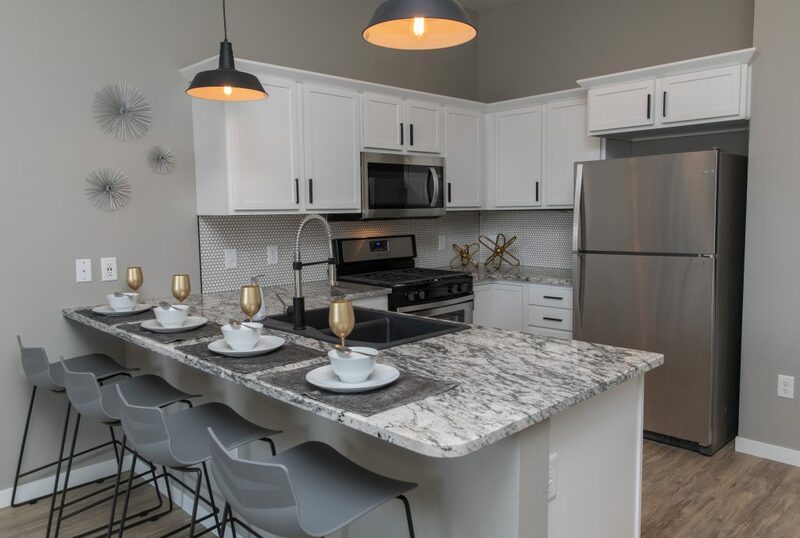 Cascade residents will enjoy tons of amenities, from the courtyard with its outdoor pool and dog park to three community rooms, a gym and yoga studio. Plus, the first floor will include Severance Brewing Co. and other stores and restaurants. “People who have already rented have come back two or three times to check on their future home, and they’re so excited by how they don’t ever have to leave the building,” Walters said. Rents for a studio start at $970, for a one-bedroom at $1,115 and for a two-bedroom at $1,600. All homes include an underground parking spot. The Cascade will hold an open house on May 18 from 11 a.m. until 2 p.m., or call or text Laura Walters to see the building any time at 605-271-2010.